Do you want to change colors once or do you want to exchange the colors of your lenses during the different seasons? 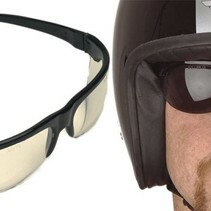 Besides this brand, there are also separate lenses to order for the Davida PMX motorcycle goggle and certain Halcyon goggles. The standard lens color is clear. This transparent lens can always be worn, so during all parts of the day. In addition to clear lenses, there is also yellow. 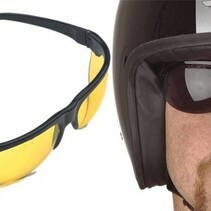 Yellow lenses are often used by people who drive in the evening or at night so that you have more visibility in the dark. There is a small disadvantage to this color because when you wear yellow lenses during the day, it causes too much light for your eyes when the sun shines. 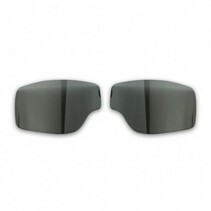 An extra set of dark (smoke) lenses are only recommended if you drive a lot during the day and when the sun is shining. It reduces the light properly and can thus be compared with the effect of sunglasses. 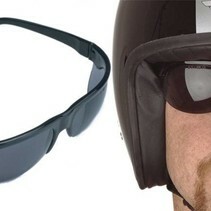 To use motorcycle goggles with dark lenses in the evening or at night is therefore too dangerous and we do not recommend this at all. Finally, there are the sets with silver or blue reflection lenses. With these lenses you can not see the eyes from the outside and gives it especially a cool and nice look to person that wears them. For help or questions there is always the possibility to contact us for free advice.